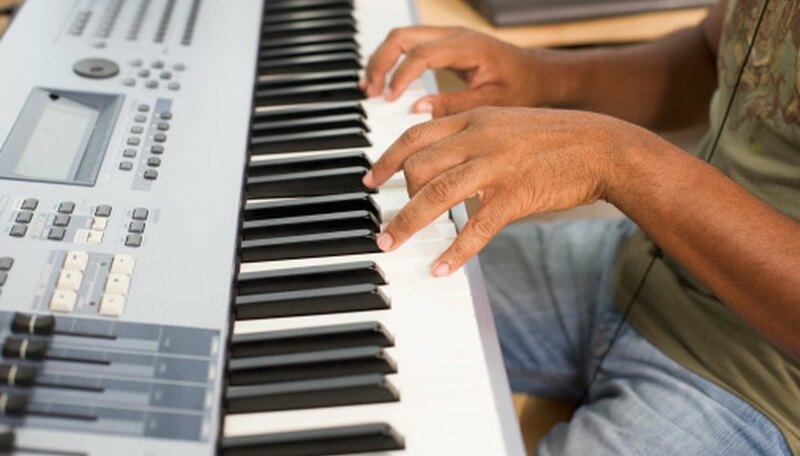 Playing music on your Roland electronic piano can be a wonderful experience in general, yet extremely frustrating if one of the keys gets stuck and fails to produce sound properly or at all. This often is the result of a broken mechanical piece underneath the key. It can happen with the wear of use. You can open the piano to check for broken parts and replace them. Unplug the keyboard. Unscrew the screws on the rear and back that secure the back cover with a Phillips screwdriver. Lift up back piano cover. Locate the broken key and pry it out. Check underneath for the white hammer that drives the mechanical motion. Take it out to see if it is indeed broken. Slide in the new hammer. It should drop right into place. Replace the key that lies above. Reattach the cover and reconnect the electricity. Test the new key to check that it is working properly. Use a digital camera to photograph the keyboard at the beginning of your repair session. Consult the pictures when reassembling. If you have not solved the problem, consult with a technician to prevent damage. Based in Pennsylvania, Peter Anema has been writing computer and technology articles since 1997. His work has appeared in “Mac World” magazine and “Extreme PC” magazine. Anema received the George M. Lilly Literary Award in 2001. He holds a Bachelor of Arts in public relations from Harding University.